with Shawn Christopher Shea, M.D. British Medical Association’s 2017 Book of the Year in Psychiatry! Bring Dr. Shea to your annual meeting, symposium, or clinic to provide one of his award-winning workshops and keynotes on suicide assessment and other clinical interviewing topics for mental health professionals. Listen and watch audio and video excerpts from presentations . 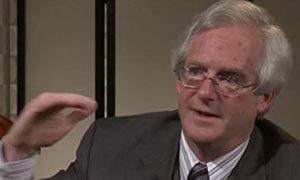 . .
Dr. Shea, the creator of the internationally acclaimed Chronological Assessment of Suicide Events (CASE Approach) describes and then demonstrates its use with recently filmed, compelling video (see sample excerpt) . . .
Experiential trainings for groups of clinicians (listed on Zero Suicide Website) and individual one-on-one trainings for advanced clinicians and supervisors on suicide assessment using the Chronological Assessment of Suicide Events (CASE Approach). . Download free pdf journal article describing group training . . . 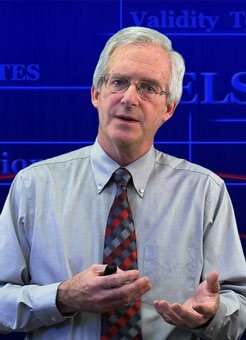 Learn more about Dr. Shea, one of the most popular speakers in mental health today with over 850 presentations worldwide on suicide assessment and clinical interviewing. Includes bio, curriculum vitae. See video interviews with Dr. Shea . . . Learn more about Dr. Shea’s books with descriptions & reviews. 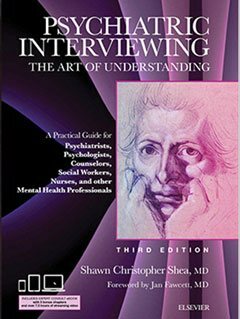 Also see clips from the streaming videos included with Psychiatric Interviewing: the Art of Understanding, 3rd Edition . . . Learn more about the internationally acclaimed interviewing strategy for uncovering suicidal ideation, planning, behaviors and intent – the Chronological Assessment of Suicide Events (CASE Approach). Download free pdf article. 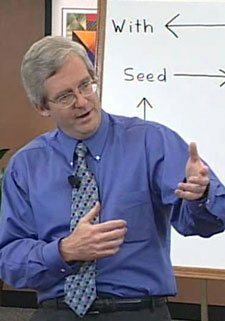 Bring Dr. Shea to your annual meeting, symposium, or clinic to provide one of his award-winning workshops and keynotes for primary care professionals. Download chapter from the primary care bestselling book: Improving Medication Adherence: How to Talk with Patients about Their Medications . . . Enjoy over a hundred clinical interviewing tips from clinicians around the world, send your own useful interviewing tips to be shared, download free pdf journal articles on clinical interviewing and training innovations such as macrotraining and Scripted Group Role-Playing (SGRP) . . . . Enjoy some of Dr. Shea’s non-clinical writings beginning with his stunning pictorial essay on the Pre-Raphaelite brotherhood. Help us create a community of clinicians sharing interviewing tips. Click here to see our Clinical Interviewing Tips or Submit a Tip.